Buzz buzz! 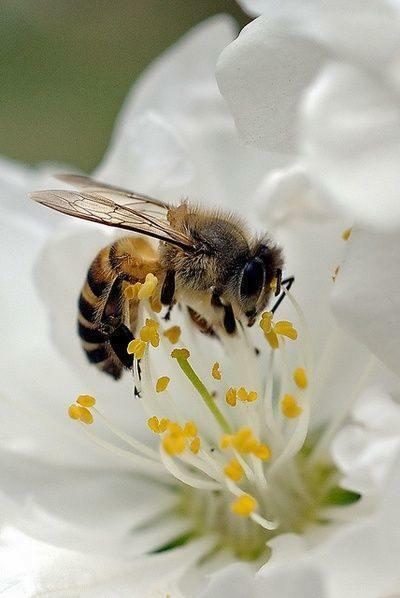 August 19 is National Honey Bee Day – who knew there was such a day?! However, it’s not so much a day to celebrate honey bees as it is for honey bee awareness enthusiasts to promote their involvement in sustainable farming. As individuals to never turn down a reason to host a party, we say yes to National Honey Bee Day! Here at Agricola Redesign, we’ve always been fans of the honey bee. That combination of yellow, black, and cream is just too cute and we love incorporating their colors into our home! You don’t have to have a bumble bee flying around your home to get in the National Honey Bee spirit, but you can consider using a black and white table cloth with yellow vases full of white flowers to celebrate this special day. Serve fun appetizers with a honey theme. Whether it’s drizzling honey over blue cheese and figs or serving beverages with bright yellow lemons hanging on the glasses, you can pay homage to those buzzing little creatures’ most famous creation. To help the bee population, Agricola Redesign we believe in reusing and repurposing our clients’ furniture and accessories first, rather than replacing. It prevents more materials from being used, thus damaging the honey bees’ natural environment. 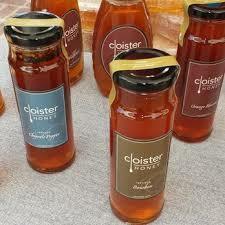 Cloister Honey: This will help you gain a major appreciation for nature. Cloister Honey is the perfect item to feature at your bee-themed party to celebrate National Honey Bee Day. Gourmet du Village: These dips and spreads are easy to make and will wow your guests’ taste buds. 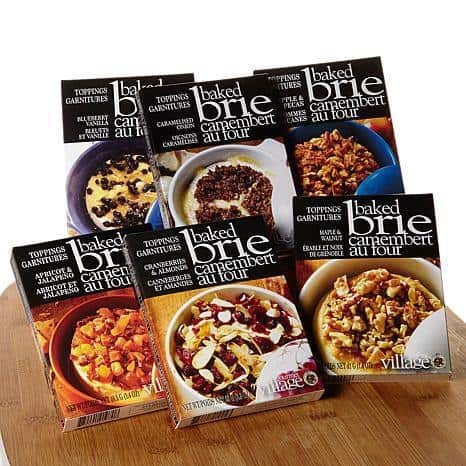 This brie selection at A Village Gift Shop will wow your guests at your next party.